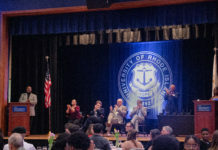 Nearly two weeks ago, students at the University of Rhode of Island attended the 45th Inauguration as well as the subsequent protests and Women’s Marches held throughout the nation and abroad. Jordan Cheretis, a sophomore Psychology student, joined her friends and family at the Inauguration. Cheretis said she went to be a part of history, but not to protest. “My friends and I thought we would go [to the Inauguration] no matter who won, just to experience it,” Cheretis said. 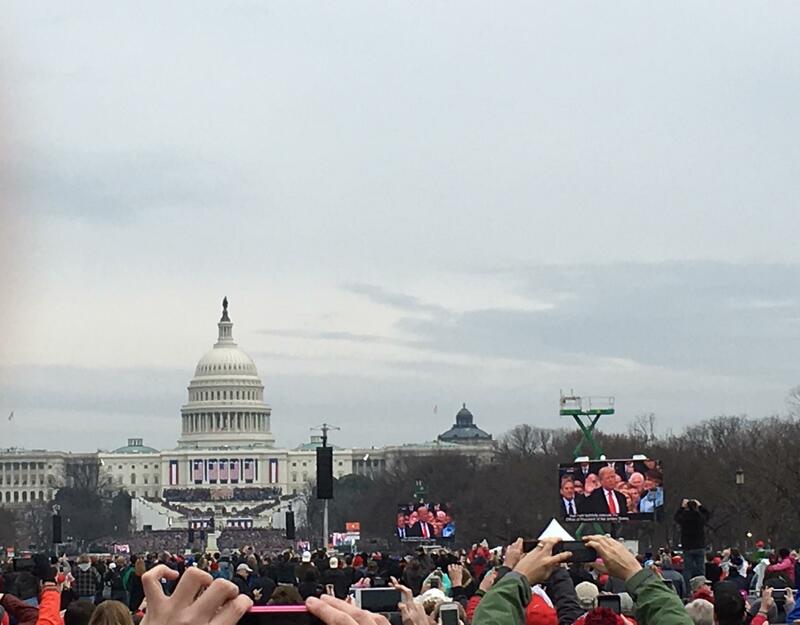 While Cheretis noted that there were many protestors at the Inauguration, she explained that not all were violent and there were silent protestors there as well. Cheretis and her friends made sure that the clothes they wore did not support either side. “We were just kinda observers of everything,” said Cheretis. Later that same day, sophomore civil engineering student Angela Barringer arrived in Washington D.C. to protest peacefully at Franklin Park, but found herself close to the riots that broke out. Out of concern for their safety after things got “hairy,” as Barringer explained it, she and her cousins made the decision to go home. She had not anticipated things to become violent. Also protesting the election was John Hoolahan, a third-year Pharm D. student. While Hoolahan and his friends were originally staying in Baltimore to go to the Women’s March the day following the election, they decided to take the 45 min train up to D.C. for the Inauguration as well. While the media portrayed the protesters at the Inauguration as being very violent, Hoolahan explains that the violent protestors were not a representation of all the protestors there. The next day, Hoolahan and his friends took the train into the District again, this time for the Women’s March on Washington. While there were many more people and protesters on Saturday, compared to the Inauguration, Hoolahan explains that he felt much safer on Saturday. Senior education and Spanish student Vivian Rodriguez also made the long trip from Rhode Island for the Women’s March on Washington. Determined to get to the District of Columbia despite her lacking funds, Rodriguez volunteered to help chaperone a group of students from Central Falls High School. Rodriguez said it was difficult at some points in the march to keep all of the students together among the half a million people who attended, but that she was glad she went. For her, it was uplifting. Closer to home, sophomore English and writing and rhetoric student Nate Vaccaro attended the Rhode Island chapter of the Women’s March in Providence. Similar to Rodriguez, Vaccaro described the atmosphere on the State House lawn as uplifting and supportive. Vaccaro surrounded himself with members of his family while advocating for issues that are important to him, such as equal rights for members of the LGBTQ community. While protesting around the country and across the world has been seen as controversial, especially from conservatives, Vaccaro said talking about these issues is important.